Program Description: This camp is designed for kids who are still using training wheels or struggling to ride independently on two wheels. Participants will learn to balance, pedal, and riding skills throughout the week. Lessons on bicycle safety will also be a focus for this new program. 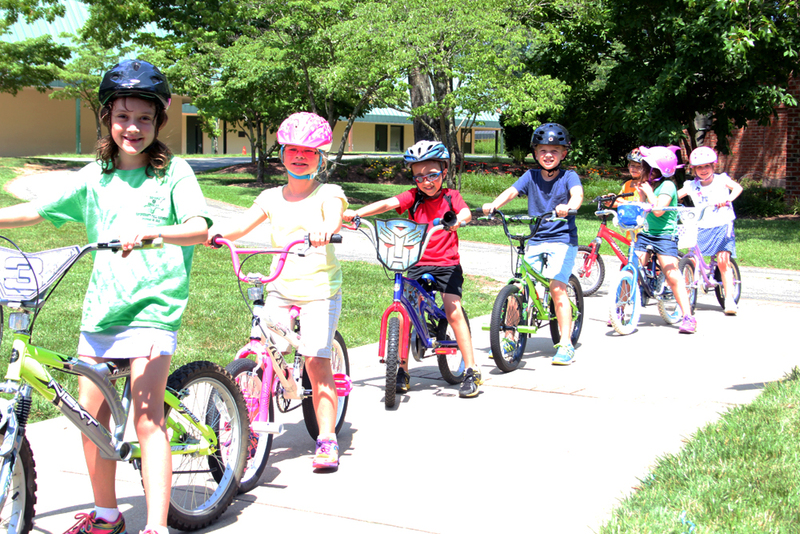 What to Bring: Campers must bring a bike (without training wheels) and a certified helmet. It is also recommended that they bring a snack and drink daily. Instructor: Roxane Roberts is a Ravenscroft Physical Education Instructor, primarily working with Lower School students. In addition to her teaching responsibilities she has coached soccer, girls lacrosse and field hockey during her time at Ravenscroft. Roxane has been an avid cyclist for many years and looks forward to helping your child gain confidence on their bike.